Nick Wright is one of the most approachable, client focused, and easy to deal with barristers you will ever instruct. Nick has made this his trademark since he qualified in 2007. Located in the Midlands, Nick can travel anywhere in England & Wales and is very happy to do so. Nick has a keen focus on holiday sickness claims. From drafting an intial advice, particualrs of claim, conferences with client or expert through to the trial, Nick is keen to get involved at all stages of the process. Nick is happy travelling nationally for a conference either at a clients home address or instructing Solicitors. Nick has specialst knowledge of these type of claims and is on several panels within Clerksroom. Nick is a specialist in terms of costs hearings. 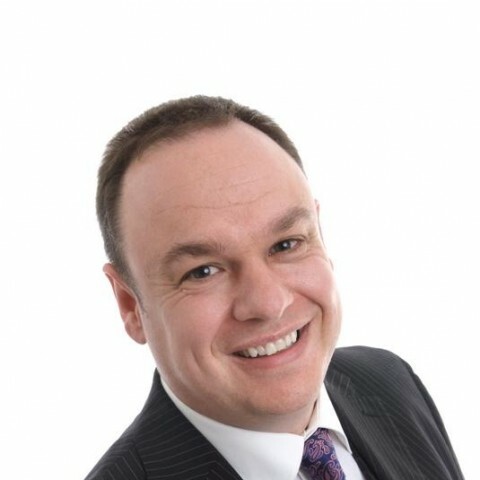 Whether it is a Costs Case Management Conference or a detailed Costs hearing, Nick is always has a thorough knowledge of the issues and will fight hard to secure the best award for the client. Nick will ensure the maximum costs are recovered when acting for the winning party, or ensure that the minimum costs when those costs are payable. Nick will fight tooth and nail when it comes to the best interest of the client and instructing Solicitors. For the most part, Nick’s practice revolves around civil money claims in the County & High Courts. His work involves fighting and defending money claims at every level, including personal injury (EI/PL/RTA), professional negligence, road traffic claims (including credit hire and accusations of fraud), contracts, insolvency, consumer credit, and landlord & tenant (commercial and private). Claimant: Nick's objective is to help you to recover as much money as you can. Nick is particularly well known for his never-say-die attitude – if he is instructed to fight your corner, that is exactly what he will do, using every tool at his disposal with the skill and passion he brings to his advocacy. You will be left in no doubt that Nick is on your side. Defendant: Where Nick is instructed by the defendant his role is to use his expertise to make sure you are protected and he will bring to your case every element of his expertise to ensure your defence is managed and presented in the best possible way. Nick is happy to come to your offices and offer free CPD talks or interactive workshops. It is a great way for you to get to know him and vice versa. Nick is happy to discuss this with you whenever convenient so please feel free to contact him directly. Nick is accredited to accept instructions directly from the public. He undertakes all types of matters including debt, landlord & tenant, neighbour disputes, general civil litigation and motoring offences in the magistrates' courts. If you want Nick to read the papers and give you a short free advice he would be happy to do so. When he’s not at work Nick is a volunteer on the Severn Valley Railway, which is a preserved heritage railway. Nick is very interested in, and devotes a lot of spare time in researching, the law relating to the railway industry. Disputes surrounding The Rule Book and related RAIB bulletins and investigations are of particular interest. If your work takes you to this specific area of law, Nick would very much like to come and talk to you. Nick is accredited by the Professional Association of Diving Instructors as a Master Instructor, has completed in excess of 5000 dives all over the world, and has certified over 250 students. The law surrounding SCUBA diving is therefore also of great interest for Nick and he would love to expand his practice in this area. Nick is also a member of the Magic Circle and regularly attends events and seminars nationally, as well as having a bee apiary in his back garden! Nick also flies his own Piper-PA28 aircraft. He has a night and instrument (r) rating. You were brilliant! I found you very knowledgeable and very easy to talk to. Once again, I cannot praise you enough for the way you handled things this morning both with me and XXXXX, and with District Judge Ellery. From a very grateful client. We instructed Nick on a case at short notice which required fairly extensive reading. Nick was able to identify and get to the crux of the matter quickly and provide us with a concise overview and initial opinion. His attendance and representation at Court was confident and reassuring. Thank you [Nick Wright] so much for the excellent job done I am over the moon with the result. Thank you for your help yesterday, Mr C had nothing but praise for you [Nick Wright] and asked that I pass on his gratitude. That is excellent, thank you [Nick Wright] I am very pleased. Thank you for the quick turnaround too. I shall use you in future. The seminar [by Nick Wright] was very well received by all those who attended and we have already put in place some training on the issues discussed. Please be assured that when training is required on such matters or we require advice on specific cases, we will be in touch. [We] were very happy with the job of work done yesterday and the result you (Nick Wright) secured. Many thanks indeed for your assistance on this Nick. Very happy with the outcome. Thank you (Nick Wright) for this. I appreciate your swift response. Feedback wise, concise advice is great. Just a quick note to say thank you [Nick Wright] for your help at court today, you put forward a great argument and there is no way I would have been able to deal with it alone. It was great to watch you. I would not have liked to be the one cross-examined by you! I would have absolutely no hesitation in using you again...and will definitely recommend you to friends and family. We would just like to thank you (Nick Wright) for your help last week ...ref my car accident. We appreciated your support and thank you for your time. We have received the letter of confirmation...stating that the Court decided the issue of liability was 100% in our favour. I am definitely happy with the work that you [Nicholas Wright] have done for us; we have had some good wins! You always call before the hearing which is a positive; I don’t get that a lot from counsel before a hearing! Your attendance notes are in depth and clear. Many thanks for all of your help so far. Outside of these key areas of law, Nicholas Wright (2007) is always willing to consider any enquiry requiring the experience or knowledge needed to help you or your client. Please call Nicholas direct or the support team on 01823 247 247 if you would like to discuss any aspect of this profile.